The past couple of weeks I've really been working on eating a lot more veggies and we've been trying them different ways like steamed, roasted, grilled and raw. One of my all time favorites is to pour on a little EVOO, salt, pepper and pop the veggies into a 400 degree oven for about 30 minutes. We've had cauliflower, broccoli and asparagus this week. My family devoured all of them and next week will be zucchini, mushrooms and squash. 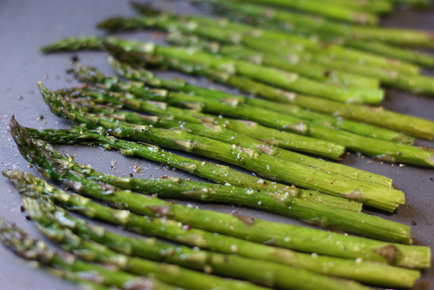 What's your favorite way to prepare veggies? This was taken from The Pioneer Woman and were amazing!